What are the best educational games that parents can play with their children? Most parents struggle with keeping their children away from the I-pad. Parents have been criticized for using apps on the I-pad as a pacifier to distract energetic children. Subsequently, we will only focus on the best educational games that do not involve the computer screen. For younger children, the best educational games tend to be centered around building. The best engineering toys are made in Germany. There is nothing wrong with Lego. However, the toys tend to be licensed (eg – Star Wars) and this may open up a can of worms. Kids receive one Bat Man Lego and then want the entire set. If you stick with unbranded building toys you will get all the building fun without the Hollywood push. 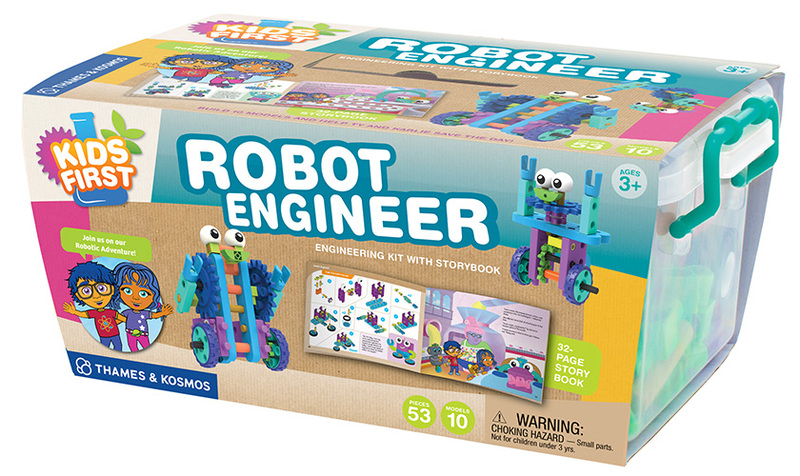 For older children, in the 8+ bracket you can find high quality science kits for about $40. Nowadays, a lot of parents are buying “how to code toys.” However, the best educational games in the hard sciences such as Physics and Chemistry are not nearly as popular. Arousing interest in STEM could pay long term dividends as the labor shortages are acute in the biotech sector. Canada needs to ensure that its workforce is prepared for career opportunities in science, technology, engineering and mathematics (STEM) to grow its economy and maintain its overall quality of life. Currently, the scarcity of qualified STEM employees is negatively affecting the operations of 40 percent of companies within the biotech sector, while more than 33 percent of firms report skill shortages among staff. For kids over the age of 10, you can try a game like Splendor or Jaipur. These are not math games per se. However, you have to do a lot of quick calculations to formulate your strategy. The math is not heavy (basic addition). By disguising math practice in play time you can slide in some education on the sly. Splendor and Jaipur are similar games. You collect a resource and trade it in for another resource. For example, a ruby card might require that you trade in 4 blue cards and one black card. The child quickly calculates which trade would provide the most value. I generally do not recommend the pure play math games like Set. I find that you really need to masquerade your math practice and games like Qwirkle or Set can feel too “mathy” for a lot of children who have no interest in these types of games. In the comments, let me know what you think are the best educational games and toys for children. I wanted to highlight some different career paths for aspiring teachers. The entrance requirements to Teacher’s College show no signs of loosening. In addition, the number of positions available is still well short of the market. According to Macleans, the unemployment rate is off the charts. Few other graduates in Canada have as much reason for pessimism as those who finished teacher’s college this spring. A study from the Ontario College of Teachers shows that two-thirds (67 per cent) of education graduates from Ontario’s class of 2009 found themselves unemployed or underemployed in the following year. And, the unemployment rate among new teachers has exploded to a staggering 24 per cent — up from just three per cent in 2006. The salaries in Korea and Japan can be comparable to other entry level jobs. You gain some experience and enjoy some travels. I view this as a stop gap measure and not a permanent career path. One profession that has a shortage of workers is the accounting profession. You would have to take the CPA exam and you need requisite experience in order to acquire the license. I do not recommend the legal profession as the number of job vacancies is staggeringly low. A lot of millennials feel shut out of the legal market. We have updated some new science lesson plans for elementary school teachers. Grade Ten Chemistry Lesson Plan – Introduce students to the periodic table of elements with this lesson plan. Grade Eleven Chemistry Lesson Plan – teach students the fundamentals of matter with this chemistry lesson plan. We’ve just published three new lesson plans for grade one to grade three students. These free lesson plans are all interactive and sure to add excitement to any classroom. Today, I’d like to talk a little bit about Teresa Evans’ other best selling book called, Kid’s Reading Games. As teachers, you know how critical it is for students to be competent readers. Reading is a basic skill that they will need to use every single day so you want to develop the core literacy skills. If you are committed to finding fun, new ways to give students a solid grasp of these basic skills – your job is not an easy one. It can be time consuming searching for resources or creating your own projects. That’s why Rainbow Reading Games can help you. The Rainbow Reading Games collection is a set of reading games and phonics games that make learning to read fun. These are professional resources that are simple to use and simple to prepare. They are bright, colorful and engaging and most importantly effective. This collection includes 8 sets of printable games that practice and review phonics skills and more advanced skills including antonyms, synonyms, prefixes, suffixes, compound words, contractions, plurals and homophones. Reading comprehension skills are also practiced with some of these games. There are board games, dominoes games, card games and bingo games. For each style of game there is both a basic set and an advanced set. These PDF files are downloaded to your computer immediately after you order. This means that you can print attractive, colorful games directly from your computer. Print exactly what you want, when you want and as many copies as you want. This collection includes over 200 printable reading games to help children develop their reading skills and their confidence and the best part is that they will have loads of fun while they do! To learn more about these visit here.